Fits Any Home and Budget with high performance at an attractive price. Lasting Performance with industry-leading Viessmann made SA240 316 Ti stainless steel Inox-Radial heat exchanger constructed to CSA B51 and ASME Section IV. Low-Emission Combustion with Viessmann made stainless steel MatriX cylinder burner for natural gas or propane. Factory calibrated. 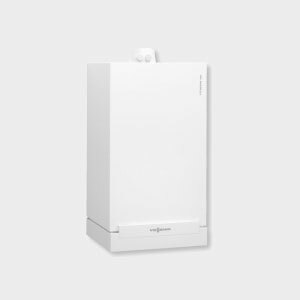 Versatile On-Board Boiler Control interfaces with most external controls. Now with integrated 0-10V and OpenTherm® communication ability. Outdoor temperature sensor standard. 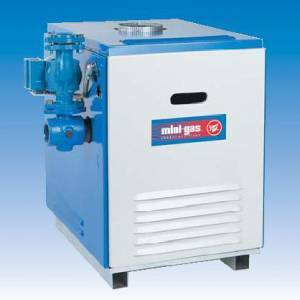 – Horizontal or vertical sealed combustion coaxial venting (factory supplied). – Horizontal, vertical or hybrid sealed combustion double-pipe venting (field supplied). – Horizontal or vertical single-wall venting (field supplied). Suitable for Altitude Levels of up to 10,000 ft. / 3000 m.
Easy Installation, Service and Maintenance with all pipe connections located at the bottom and serviceable components easily accessible from the front. 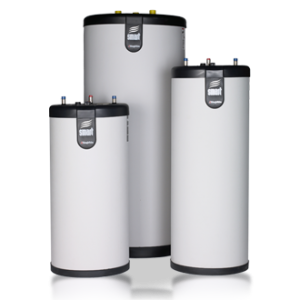 Compact, Lightweight Design and zero clearance to combustibles. 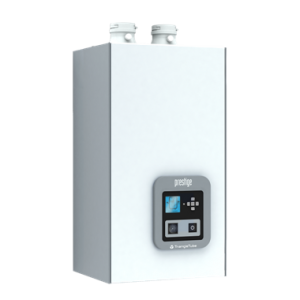 Built-in Automatic Frost Protection prevents freeze-up during long shut-off periods. Limited Lifetime Warranty in residential applications. *At a 63 °F maximum temperature rise with Vitodens 100, WB1B-35.